Interesting! For those of you who are not already registered to PCH Search and Win you might want to take a look at this video from Publishers Clearing House where they explain the easy process to become a registered member of PCHSearch.com (search.pch.com/about). You will be amaze by the chance you can get to win so many prizes like Car Sweepstakes just by searching online. List of PCH Sweepstakes: Win $500 a Week for Life PCH Gwy. No. 10025. Win PCH $100,000.00 Cash Prize Gwy. No. 10074. Win $25,000.00 For a Home Makeover. $2,000.00 Cash towards paying your bills. PCH Search an alternative search engine is considered a Metasearch engine, that is to say, a search tool that uses other search engines’ data to produce their own results from the World Wide Web. PCH Search.com is combining multiple results from different search engines such as Yahoo, Bing and Google, so you can get the best results. So, why don’t you make PCH Search and Win part of your daily life! Good Luck! Brand New Lincoln MKZ valued at $47,595.00 (Gwy. 8186)! Brand New Ford F-150 Platinum (Giveaway No. 10074). Yes I want to win Giveaway No.10079;$2,000.00,Towards Bills.Then enter me in to win,A Brand New Ford Explorer Platinum and more!Thanks again PCH and Prize Partrol.God Bless. Yes, today on 8/14/18 I finished searching all 6 major prize numbers. All my eligible entries are on time before the 11:59 PM, ET deadline. I Want To Win! I’m Ready To Win It “ALL! Yes, Today on 8/14/18 I’m claiming 6 prize numbers that are eligible to win major prizes. Yes, I have an incredible opportunity to win $1,000.00 A Day For Life on August 31st during special early look event from PCH Gwy. No. 11000. Today I’m searching at PCHSearch&Win . I’m completing these entries in all 6 prizes. Yes, I searched from all 6 buttons before 11:59 PM, ET to ensure I am on file eligibility to be selected the winner of all six prizes. Yes, I Want To Win It “ALL! I’m Ready To Win It “ALL! I hope to be one of Publishing Clearing House winner on August 31st a dream come true for me. A dream come true for me. YES. YES. YES. YES.! PCH FRONTPAGE I am excited every day and I receive your messages. That gives me more strength to continue looking for my dreams. I hope to see the patrol in my home soon, and add my name as a winner of $ 1,000.00 to day for life in CO. I WOULD LIKE TO CLAIM ;$1,000,000.00 Plus $1,000.00 A Week For Life,and A Brand New Ford Explorer($55,530.00);Yes also enter me to win Giveaway No.10074;A Brand New Ford Explorer($35,670.00);Also enter me in to win A Brand New Ford Platinum($65,000.00),Plus More.Yes I want to win!Thanks again PCH and Prize Partrol.God Bless. win $1,OOO.OO A Day For Life, Brand New Ford Platinum($65,000.00),Plus More. searching in hope to win the $1,000 a day for life plus the $34,670 Ford Explorer from pch. Yes I want to win A Brand New Ford Explorer($65,000.00).Thanks again PCH and Prize Partrol.God Bless.WOW!I can see myself driving around Fleming Island,Florida; Yes I want to win! Clint henderson june 28 2018 i claim entry to win brand New ford explorer. Yes I want to win tomorrow,June 29th;Giveaway No.11000;$1,000,000.00 Plus $1,000.00 A Week For Life,and A Brand New Ford Explorer($55,530.00);Yes also enter me to win Giveaway No.10074;A Brand New Ford Explorer($35,670.00);Also enter me in to win A Brand New Ford Platinum($65,000.00),Plus More.Yes I want to win!Thanks again PCH and Prize Partrol.God Bless. Been a minute, but I am still in it to win it! I need a car or truck bad don’t have one just old Junkers that don’t run. I have to go 19mi. To get to the closest store long way to go with your feet thear & back.may God bless us all in big ways this summer. Please enter my 5X Entries To Win A Brand New Ford Mustang Convertible Valued At $45,495.00 from the Frontpage Giveaways! PCH Please Enter Me In The Entry for The New Ford Mustang. YES! I sure would like to CLAIM and WIN this FORD Convertible Values at $45,495.00. VIP Elite is a badge of honor for me. This is all I need to drive a Ford Convertible around Baldwin City, this OLD LADY. HEY I sure would do it. PCHSearchandWin I wanna win big on June 29,2018 $1 million dollars & $15,000.00 $7,000.00 a week for life! 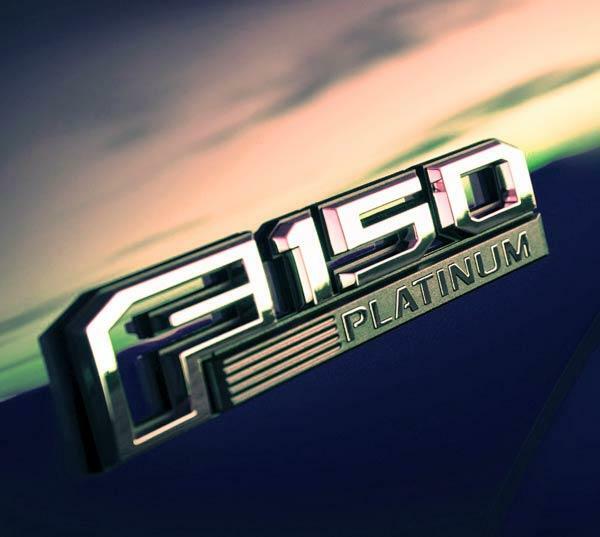 And ford explore platinum #8186&#11000 it would be a great opportunity to win prizes. Been trying to win for a while but not going to stop playing! Like to meet you all soon and knotting on are door with are checks. I shop often from p.c.h, good stuff, but I could use that truck, pay off all my bills, AND CIVE MONEY TO PEOPLE WHO ARE LESS FOURTNET THAN ME THANKS FOR THE ENTRY P.C.H, and my god be with all! man their are times I wish I had a truck, would be helpful to clean out the attic, basement and junk, and to win the money wouldn’t be nice to win. Disregard the entry with the wrong size numeral 0’s. Yes I want to win A Brand New Ford Explorer (2018);(34,000.00 up to $55,000.00).Thanks again PCH and Prize Partrol.God Bless.WOW! A NEW FORD EXPLORER. Please enter my 4X Entries To Win A 2018 Ford Explorer Valued At $34,670.00 Plus $10,000.00 Cash! Yes Prize Partrol I enter all (4) times to win A Brand New Ford 2018 Explorer Plus $10,000.00 Cash.Yes I am repeating myself because I want to win and meet The Prize Partrol Team in Fleming Island Florida.WOW! I said all this before ; I will Love driving around. Fleming Island in my New Explorer.Yes I want to win.Thanks again PCH and Prize Partrol.God Bless. Yes Prize Partrol I am repeating myself because I want to win Giveaway No.10074;A Brand New 2018 Ford Explorer Plus $10,000.00 Cash.Thanks again PCH and Prize Partrol.God Bless.Yes I want to meet The Prize Partrol Team in Fleming Island Florida at the McBride house.Thanks again. WOW! $10,000.00 cash plus a Brand New Ford Explorer Yes Prize Partrol I will Love to win Giveaway No.10074.Thanks again PCH and Prize Partrol.God Bless.Yes I can see me driving around Fleming Island Florida.WOW! Clint henderson April 26 2018 i claim entry for search 4 to win new ford explorer valued at 34,670.00 plus 10,000 cash. NEW SEARCH NEW OPPORTUNITY TO WIN A 2018 FORD EXPLORER PLUS A $10,000.00 CASH BONUS! Search #4._ PCH Search & Win Millonaire making prize to be delivered to our winner tomorrow! Please activate my entry I want to win a 2018 Ford Explorer valued at $34.670.00 from PCH Gwy 10074, plus $10.000.00 from PCH Gwy 10803. Thanks PCH for a chance to win, I hope to be the winner on April 27th prize Day event. That’s tomorrow! Pch gwy no.10074 pull up in a Ford Explorer while that would be nice at the point in time I don’t have a car that would be very good transportation I’m hoping I’ll be selected for this new Ford Explorer all cash prize. Search #2._ PCH Search & Win Millonaire making prize to be delivered to our winner tomorrow! please activate my entry to win two great prizes win a 2018 Ford Explorer valued at $34.670.00 from PCH Gwy 10074 plus $10.000.00 cash from PCH Gwy 10803. thanks for a chance to win on April 27th in the Day prize event. Search # 1._ PCH Search & Win please activate my entry to win two incredibles prizes in the Day event April 27th that’s tomorrow. Win a 2018 Ford Explorer valued at $34.670.00 from PCH Gwy 10074 plus $10.000.00 Cash. I am ready to receive an award, we are so many participants throught the Nacion that only a miracle will make them come to Miami, I believe in the miracles of God because He choose differents ways to bless their children. I hope the Prize Patrol comes to my house tomorrow.!! I Am Ready for My Golden Opportunity PCH. PCH It Would Be A Dream To Win A New Car Plus Cash. SEARCH 4 TO WIN A 2018 FORD EXPLORER PLUS A $10,000.00 CASH BONUS. SEARCH 3 TO WIN A 2018 FORD EXPLORER PLUS $10,000.00 CASH BONUS. I’M CLAIMING MY OPPORTUNITY TO WIN A BRAND NEW FORD EXPLORER VALUED AT $34,670.00 PLUS $10,000.00 CASH! Pchgwy would like to win $ 10 million dollars plus get a Ford explore it would be a great opportunity to win the prize. I’m claiming my chance to win a FORD EXPLORER – VALUED AT $34,670.00 PLUS $10,000.00 CASH! Clint hhenderson April 17 2018 i claim entry 2x entries to win brand new ford explorer. PCHGWY#10074 WANT TO WIN FORD EXPLORER AND WIN $7,000.00 A WEEK FOR LIFE ON APRIL 27,2018 THE MONEY WOULD COME IN HANDY FOR MY FAMILY WE ARE PLAIN ON BUILD A HOME IN HUMBOLDT,IOWA IT WOULD COME IN HANDY FOR US THANKS AGAIN. PCH Frontpage Drive it home? Yes, I want to win please activate 2x entries to win. A New Luxurious Ford Explorer valued at $34.670.00 I could ride around Miami from PCH Gwy 10074 plus Lifetime prize $7.000.00 A Week for Life I hope to win in this April 27tg from PCH Gwyc11000 the prizes is prepared for award during this Special Early Look Prize Event. Thanks for an exciting opportunities to win two wonderful prize that sweet ride become true in a few days I hope to have the honor of knowing them Dave, Danielle and Tood, come to Miami you are Welcome. Lord, I will never stop thanking you for this opportunity to help out these children. Thank you for forgiving me $ helping these children. I want to win the $50,000 cash from pch. I CLAIM THE CODE AND ACTIVATED AND ASK FOR OWNERSHIP OF IT TO HAVE THIS PRIZE, PLEASE PCH GOLD THANK YOU PCH RONALD RICE. PCH, YES WOW! I WANT TO WIN ,CLAIM PCH GWY 10078 $15,000.00 CASH PRIZE! $HANK YOU PCH! I DONT LIVE IN THE NORTH ! i want to win 3 x entary to win a brand new Ford Ecplorer $34,670.00 pch gwy 10074 for 2x entery to win pch gwy 8800 $5,000.00 a week forever on february 23rd…. Hello dear PCH I would love to confirm my entry and claim to win this prize award for new Ford Explorer. Thanks PCH. Yes ! I want to win “Win It All” PCHSearch&Win Search#1 I Searched to claim entry and win A New Brand Ford Explorer Value $34,670.00 GWY #10074 Plus Claim Entry to win $5,000.00 A Week “Forever” GWY #8800 on February23rd . PCH Prize Patrol, I will be more happier to win Brand New Explorer, Plus $5,000.00 a week Forever gwy.#8800. My dream would have became True of “Do not Give UP”. Dear PCH, My searching on the PCH Search and Win online web internet has become a part of my daily routine so I can win prizes at the same time. I Want to Win! I’m Ready to Win! I used PCH Search and Win So I Can Win a Brand New Ford F-150 Platinum (or the $65,549.00 cash equivalent from (Giveaway No. 8186) or cash equivalent Lump Sum Payment cash equivalent. I Want to win this shiny Brand New Amazing reliable truck. I want to win this shiny Brand New Lincoln MKZ reliable car. I WANT TO WIN! I’M READY TO WIN! “OH “HAPPY DAY! Yes Prize Partrol it’s me Rickey entering again for the third time to win A Brand New Ford Explorer($34,670.00).Plus entering to win $5,000.00 a week forever on February 23rd. Thanks again PCH and Prize Partrol.God Bless.Yes I want to win. Yes Prize Partrol it’s me Rickey entering again to win A Brand New Ford Explorer ($34,670.00).Thanks again PCH and Prize Partrol.God Bless.Yes I want to win. PCH, I Give Anything To Win 5,000 A Week Forever plus A New Ford Explorer. In Philadelphia You Need to Have a Good Car to Drive in The Snow. WOW! DAVID SAYER, A FORD! I CLAIM ENTRY FORM PCH GWY $34,760.00 BRAND NEW FORD EXPLORER! PLUS I CLAIM ENTRY PCH GWY 8800 $5,000.00 A WEEK” FOREVER”! PLUS CLAIM ENTRY FOR GWY $5,000.00 A WEEK FOR LIFE TO MY BENEFICIARY, ON FEB 23 2018! THANK YOU PCH! I searched now to claim my entry to win a brand new Ford Explorer from PCH GWY No. 10074 *A “FOREVER” Prize $5,000.00 A Week For Life from PCH GWY No. 8800, then after that the payments would continue on to a special someone the winner chooses for their life. I Want to be the winner of “all this plus more on FEBRUARY 23RD 2018. I searched on PCHSearch&Win to find my chance to win this Brand New Ford Explorer. 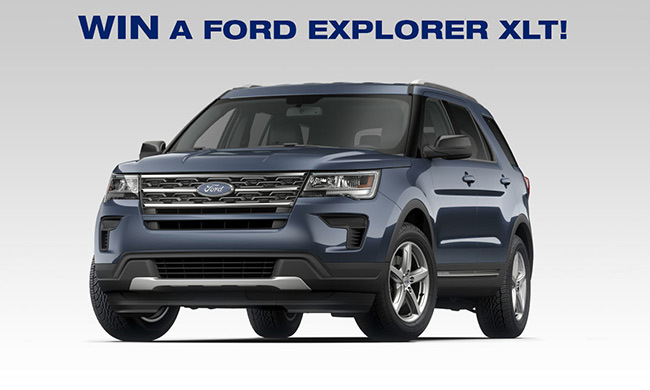 I’m claiming my 2x Entries to win a Brand New Ford Explorer. I would love to win it! Oh Yes, I Want To Win! mary b thomas Jan./22/2018 I would love to win Brand New Ford explorer. I would be happy to win the Ford Truck pch.gwy.no.8186 that is new but 2017 4×4 truck. I would love either one. ENTRY TO WIN A BRAND NEW FORD EXPLORER . I’m ready to win it all from gwy. no. 8800 and all the gwy. nos. that goes with the gwy. no. 8800! Hello dear PCH I’m searching to confirm my entry and to claim this New Ford Explorer from PCH Gwy no 10074. Thanks PCH if it will be possible thanks again. I would like to win a brand new Ford Explorer. PCH,YES I CLAIM , PLEASE TRANSFER TITLE OF PCH GWY 10074 $34,670.00 OR F-I50 TO ME! PLUS I CLAIM ,PCH GWY8800 $5,000.00 A WEEK “FOREVER”! PLUS TRANSFER PCHGWY $5,000.00 A WEEK FOR TO MY BENEFICIARY! FEB 23 2017. THANK YOU PCH! HAVE A GREAT DAY! I would love to win the brand new Ford Explorer. Because my truck is starting to cost me excessive amounts of money. And at moment I cant really afford a new vehicle. I am very thankful for PCH and all you staff for giving me this great opportunity to win this new vehicle. I’m searching on PCHSearch&Win for my chance to win PCH Gwy. No. 8800 February 23, 2018. I’m claiming TRIPLE ENTRIES to win PCH “Forever” Prize-that’s $5,000.00 A Week For Life to a winner, then after that $5,000.00 A Week For Life to a beneficiary of a winners choosing. I’m also entering for Round #1 of Giveaway No. 9181 to be received by the deadline date to be eligible. I Sheryl Bork am ready to feel like I’m on top of the world with the immediate and beyond when I become the lucky winner of PCH Sweepstakes Giveaway UPGRADE $6,000.00 plus more On February 23, 2018. I Want To Win! I’m Ready To Win! Please, enter me for my eligibility chance to win all eligible prizes on FEBRUARY 23, 2018. “Thank you! Sincerely, SB in Oklahoma. OH My Gosh! I could actually become the “BIG Winner on FEBRUARY 23, 2018. This would be a dream come “true! I’m Ready To Win On FEBRUARY 23, 2018. I’m ready for the Prize Patrol to show up at my front door with a “BIG check, $10,000 Cash Bonus, a dozen red roses, balloons, and champagne to celebrate the “BIG Sweepstakes Giveaway On February 23, 2018. I would like my entries for all these prizes to be submitted on time before the deadline. I want to win on FEBRUARY 23, 2018. I’m ready to win! I want to win all these PCH Sweepstakes Prizes On February 23, 2018. I want to win UPGRADE $6,000.00 A Week “FOREVER” For Life Prize and then after that someone else will get UPGRADE $6.000.00 A Week For Life “FOREVER” Prize for the rest of their life, too, plus $10,000.00 Bonus Gwy. for the both of us. I would like all my matching eligible sweepstakes numbers to all these prizes, submitted and entered before the deadline of February 20, 2018 so I can win on February 23, 2018. “Thank you! PCH Gwys 8800, 6900, 8802 and more! I don’t want to miss a chance of winning with any of my PCH sweepstakes numbers. I so very much want to win! I am ready to win! I Want to win UPGRADE $6,000.00 A Week “FOREVER” Sweepstakes Prize and then after that choose someone else to get UPGRADE $6,000.00 A Week “FOREVER” for the rest of their life, too. I’m ready to win each and everyone of these PCH Sweepstakes Prize giveaways. I’m ready to win PCH Gwy’s No. 8800,6900, 8802, 8186 and more. I’m ready to win all sweepstakes numbers matched to all these sweepstakes prizes I have listed, and more. I would so “very much “Love to Win! I searched on PCHSearch&Win to find a “Lucky find to Win On February 23, 2018. I Want To Win! I’m ready to win UPGRADE $6,000.00 A Week For Life “FOREVER” and then after that choose someone else to get UPGRADE $6,000.00 A Week “FOREVER” For the rest of Their Life, too! I’m submitting my timely entry from this promotion to have the number that matches the winning number. I Want To Win! I’m Ready To Win! YES, PCH I WANT TO WIN CLAIM, ACCEPT, PCH WIN BRAND NEW MKZ VALUE OVER GWY10074 $49,000.00. PLUS WIN $5,000.00 A WEEK “FOREVER”! THANK YOU PCH! PCH,YES I CLAIM, ACCEPT GWY10074 A BRAND NEW MKZ OVER $49,000.00! PLUS winpch $5,000.00 A WEEK “FOREVER”!ON FEB 23 2018 ! THANK YOU PCH! PCH,YES I WANT TO WIN ,CLAIM,ACCEPT PCH GWY 10074 A BRAND NEW MKZ OVER $49,000.00! FEB 23 2018! PLUS ENTER TO WIN $5,000.00 A WEEK “FOREVER”! THANK YOU PCH! ROY APPEL CONFIRM 4 ENTRIES FOR … iI WOULD LIKE TO ENTER TO WIN THE LINCOLN MKZ, WORTH $49,000.00, PCH GWY … Publishers Clearing House I Will Not Win Immediately . I’M READY TO WIN! I’M READY TO WIN! I’M READY TO WIN! I WANT TO WIN A Brand New Lincoln MKZ valued at $47,595.00 (Gwy. 8186)! I WANT TO WIN A Brand New Ford F-150 Platinum (Giveaway No. 8186). I’m ready to win a Brand New Lincoln MKZ valued at $47,595.00(or the cash equivalent)plus FORD F-150 Platinum(or the $65,549,00 cash equivalent)PCH Gwy. No. 8186 or cash equivalent LUMP SUM Payment Cash equivalent. Please enter me for my chance to win, “Thank you! Search 4. PCH Frontpage please activate my entry to win a Brand New FORD EXPLORER valued at $34.670.00 from PCH Gwy 10074 on February23rd. Thanks for a chance to win five times these incredible prize. Search 4. PCH Frontpage please admit my entry to win a Brand New FORD EXPLORER valued at $34.670.00 from PCH Giveaway 10074 on February23rd. Thanks for the opportunity to win for five times. Search 3. PCH Frontpage please activate my entry to win a Brand New FORD EXPLORER valued at $34.670.00. From PCH Gwy 10074 on February 23rd. Thanks gor a chance to win five times. Search 1. PCH Frontpage please activate my entry to win a Brand New Ford Explorer valued at $34.670 from PCH Gwy 10074 thanks for five chances to win plus $5.000.00 A Week “FOREVER” on February 23rd, in the last of a series of drawing for PCH Gwy 8800 a forever prize , winner receive $5.000.00 every week for life, and after that those same weekly payments will continue to someone special of winner choosing. I want to claim the ford explorer. Oct 9, 2016 … Publishers Clearing House Winners – Claiming PCH Prizes in Claim Lump Sums or Payments or more like the choice the winner of PCH Gwy #8800 will ….. superprize ,a one hundred dollar cash prize with initials GD ,a 1000 dollar cash prize in Dayton ,Ohio & a Ford Explorer with PCH drawing givaway !! Roy, you could ride around Irving and pull into 9318 Vista Cir in style with a brand new Ford Explorer valued at $34,67O.OO! Skip the scenic route and take the fast lane to an exciting prize opportunity. Search today at PCHFrontpage to claim this opportunity to win from PCH Gwy. No. 1OO74! Plus, SEARCH at PCHFrontpage by 11:59 PM, ET tonight and a $5,OOO.OO A Week “Forever” Prize could become yours on February 23rd from PCH Gwy. No. 88OO! Win this legacy-making prize and you’d receive $5,OOO.OO a week for YOUR life, then after that, $5,OOO.OO a week for life would continue on for the life of a beneficiary of your choosing! This prize is guaranteed for award… don’t wait – SEARCH NOW! YES, I CLAIM VIP 2x ENTRIES GWY 8186 $100,000.00 CASH PRIZE. PLUS 2x ENTRIES VIP GWY $40,000.00 CASH PRIZES.WHEN EVER YOU WANT TO GIVE THEM CONGRATULATION ON YOUR 50th ANIVERSARY. THANK YOU PCH! ROY APPEL CONFIRM 4 ENTRIES FOR MUSTANG PRMustangs are considered a symbol of American Freedom. And, Roy Appel, today you have the opportunity to win a brand new Ford Mustang! When you click Continue before the entry deadline, PCHPlay&Win will give you 2X Entries to Win a Mustang V6 Convertible, valued at $31,98O.OO! But you could receive even more! 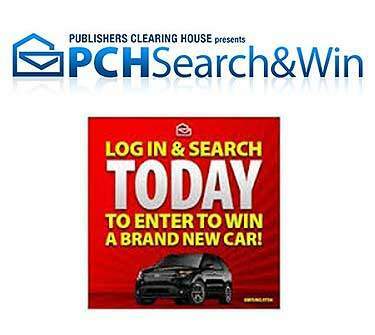 Just login and search at PCHSearch&Win and you’ll receive FOUR Additional Entries to Win this Brand New Car, or its cash equivalent, from PCH Gwy No 8186! I’m claiming my chance to win $1,OOO.OO aday FOR LIFE Super Prize! I “WANT” To “WIN! I’m “READY” To “WIN! I’m “READY to “WIN! I “WANT to “WIN! Yes, win it all have been with you for 6 yrs. still waiting for the big day. It takes patients and percists but I am hanging in there , by “Faith” , Lord willing I will win something, after all one lady won from my home town Wed. Sept. 6,17 maybe me next. Jeanette Williams (P.S.) love your products and magazines . I claim let’s double up 2x entries to win a Brand New Lincoln MKZ valued at$49.029.00 from PCH Gwy 8186 plus Summer Prize Event $15.000.000.00 Prize of a Lifetime from PCH Gwy No 8800 during this Special Early Look Prize Event on August 31st. Putting in an entry for the Brand New Lincoln MKZ from PCH. Would love to win that beautiful car along with the $15,000,000.00 Summer Prize from PCH. It would be a magnificent joy to be told that I won. Wooooooooooo. Waiting to hear from PCH. Entering my first search for the brand new Lincoln MKZ from PCH Gwy #8186. PCH, YES I CLAIM VIP 2X ENTRIES FOR $500,000.00 TO GET $10,000.00 PLUS $100,000.00 CASH PRIZE AS A VIP CONTESTANT. ON THE GOLD TICKET. THANK YOU VIP PCH. $15,000,000.00 SUMMERTIME PRIZE EVENT PLEASE! I WANT TO WIN! I am claiming this E-Mail chance to Win A Brand New MKZ car valued over $49,000.00. PCHGwy #8186 + $15,000,000.00 Summer Prize Event! PCH gwy 8800. I could get “RICH” starting this August! I’m claiming my chance to win the $15 MILLION DOLLAR Summer PRIZE EVENT! I’m READY To WIN! I WANT To WIN!